Sabah has everything it needs: Shafie | Daily Express Online, Sabah, Malaysia. Kota Kinabalu: The Sabah Government is committed to driving the State's development and economy to reach greater heights so that Sabah will be more competitive, dynamic and prosperous while ensuring the people's wellbeing, said Chief Minister Datuk Seri Mohd Shafie Apdal.He said Sabah has everything its needs to emerge as an economic power. "The State's main asset is the wide area of land for agriculture and plantation activities, besides the huge amount of natural resources and natural beauty, as well the multi-cultural society that can be major attractions for the tourism sector. 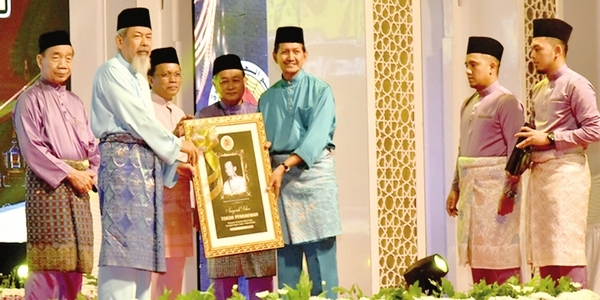 "If everything goes as planned, InsyaAllah, Sabah will not only emerge as a rapidly developed State but none of the people will ever be left behind from the State's development," he said at the State-level Maal Hijrah 2018 celebration, here, Tuesday. Also present were Head of State Tun Juhar Mahirudin and his wife Toh Puan Norlidah Datuk R.M Jasni, Deputy Chief Minister Datuk Jaujan Sambakong and Minister of Law and Native Affairs Datuk Aidi Moktar. Elaborating, Mohd Shafie said the unity of the people of different race, religion and culture in the State had been the key to the rapid development in Sabah. "It is a result of the people ability to respect each other's differences which had created a synergy for religious tolerance and social sustainability," he added.